i've always been a fan of eley kishimoto's crazy prints, but i'm very particular with wearing prints in real life. 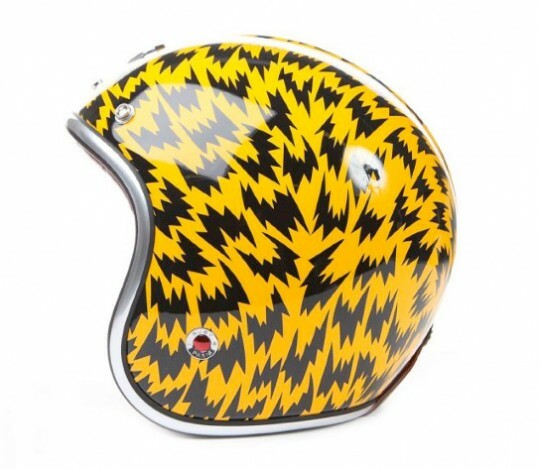 but when i saw this on a helmet, well...you know the rest...i want it blah blah blah. it's not only the print itself, but i have a thing for perfect yellow and black color combos. when it's just right, it will never scream bumble bee or taxi cab. i think i like this maybe even more than the natalia brilli. 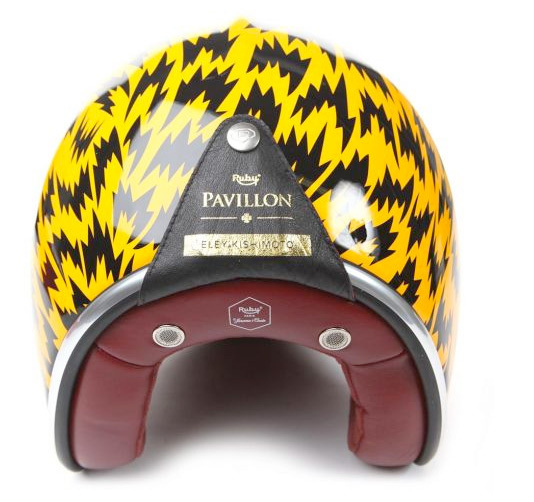 too bad i don't have $1000+ to spare on a helmet at the moment. i'm off to go ride now! but yeah somehow the price just seems a bit off for something that could potentially (but hopefully not) get all smashed up. you headed over Cass's to ride??? Wait now I totally have to call and see if you're there! ha. I agree, when yellow and black are done right, it's great. This is quite the gnarly helmet. So you did good with the Mother....now we gotta kill the D Custom! That print is lovely, but the price just stopped me in my tracks. I LOVE the Eley Flash print... I remember the first time I saw it, maybe on Bjork or maybe somewhere else, and then on a pair of tights at a boutique, I thought it was just too much for me, but oh how it grew on me. Now I have a dress of it, navy on white. This is a fantastic application of it, and love the colourway! I really want a laptop case in it, because I still don't have any case for mine. Oh how could I forget, I have an umbrella in the print too. I'm particular about my prints as well... bad prints make me wince at the thought of actually wearing them. I mean everyone has their own taste of course but sometimes I see people I like in bad prints and it almost distresses me! And I wonder how the print passed the test... to production OR to purchase.